Home » Blog » Who’s Responsible For Horse-Related Injuries? Who’s Responsible For Horse-Related Injuries? Since Henry Ford introduced the Model T in 1908, cars have largely replaced horses as the most popular means of transportation. Here in Ocala, one of the five horse capitals of the world, though, horses and other equines– such as ponies, mules, and donkeys– are far from uncommon. Horses, like other beasts of burden, behave quite unpredictably, sometimes having extreme reactions to minor environmental irregularities. This behavior can lead to the serious injury or death of the rider. For example, a Pennsylvania horse’s reaction to a few stray chickens on the track led to the death of the jockey Mario Calderon. The Florida legislature recognized horses’ dangerous propensities when it passed the Equine Activities Statute, which protects horse owners from being held liable for the riders’ injuries. However, the statute includes exceptions to this protection for cases in which the horse owner (or appointed “equine professional”) commits a negligent action, that is, messes up in a way the leads to the rider’s injury. The owner knowingly gave the rider faulty equestrian equipment, and the faulty equipment contributed to the injury. The owner assessed the rider’s ability to handle the equine. The owner knowingly had defects (like potholes) on his or her land where (s)he let the rider ride the horse. The owner did (or failed to do) something else leading to the injury that a normal person would not have done. 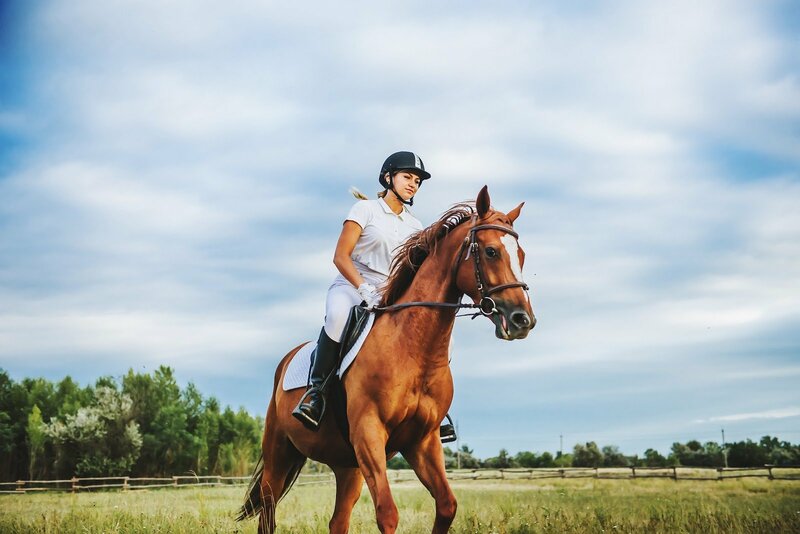 To help make horse riders aware of this unusual statute, the statute requires that the horse owner show riders the statute and have the riders sign saying they understand it. Many owners include additional provisions in the contract that entirely exempt the owner from liability, even in the case of one of the statute’s aforementioned exceptions. Riders should check for these custom contractual provisions before signing, because they can foil the riders’ chances at using one of the exceptions to hold the owner liable, as shown by Raveson v. Walt Disney World. Raveson’s horse that she had rented from Disney’s Fort Wilderness unexpectedly reared as Raveson was trying to dismount. Raveson sustained injuries, for which she tried to hold Disney liable by citing the ability exception. Raveson said she had equestrian experience from “some years ago,” which Disney should have taken to mean she needed retraining and an easier, more predictable horse, yet it gave her a horse that should have been paired with a more experienced rider. However, when renting the horse, Raveson had signed a contract that not only informed her of the statute but also waived Disney’s liability even if one of the statute’s exceptions should apply. This led the Florida’s Fifth District Court of Appeal to find Disney not liable for Raveson’s injuries. If you or somebody you know has been involved in an equine injury, or a horse you own has injured a client, you should contact an experienced personal injury law group like the King Law Firm for a free consultation for your case. Previous StoryWhat Should I Do If My Child Is Injured in a Park? Next StoryWhose Fault Are Slip-and-Fall Injuries at Businesses?